Folacoat Easyspot is an economical alternative for the production of coating plates for the offset printing market. 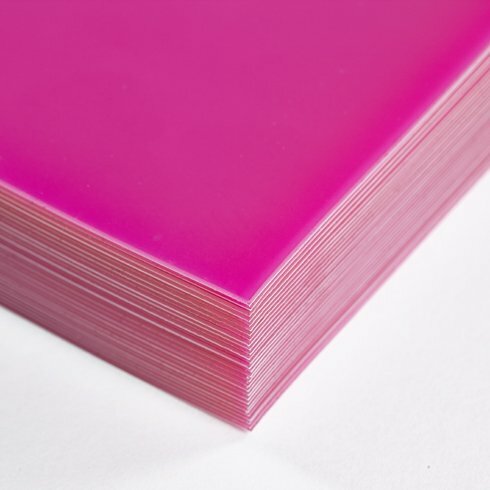 The self adhesive polymer film can be applied to the dry surface of an offset printing plate. Also a polyester film can be used. The exposed and grease free surface provides an excellent base to enhance the adhesion properties. Surface coatings from gum arabic should be washed away with water. The transparent polymer film can be simply cut out, manually or with a CAD-cutting system to create the coating relief image. The areas which should not transfer varnish can be stripped away with ease. Folacoat Easyspot are recommended for aqueous coatings. We got reports from our customers which used the products successfully in several short-run jobs with UV-varnish. Due to the different kinds of UV-varnish and UV-cleaner available we can not give precise information yet about the life span of Easyspot in UV-applications. To obtain the best results we recommend the coating plate should have a min. 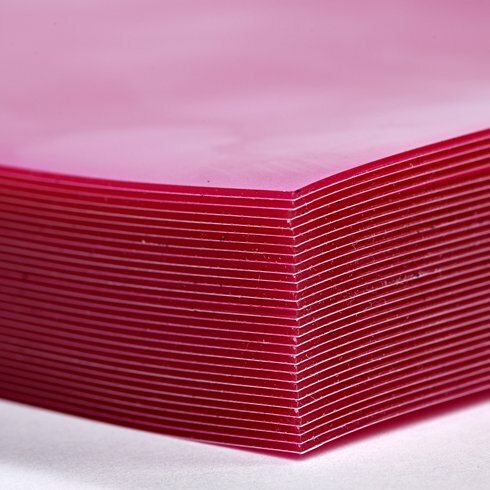 10 mm (.394") wide polymer strip that remains near the edge of the printing format / printing sheet size. This will provide equal support across the plate through out the rotation of the cylinder, to protect the relief areas. Care must be taken when applying the polymer to the printing plate to avoid air bubbles. For useful hints and recommendations by video click here.